Interface for those who want to produce body content for others. BodyProducer is expected to create the BodyPipe. One pipe cannot have more than one producer. Definition at line 22 of file BodyPipe.h. Definition at line 27 of file BodyPipe.h. Definition at line 28 of file BodyPipe.h. References noteBodyConsumerAborted(), noteMoreBodySpaceAvailable(), and stopProducingFor(). Referenced by BodyPipe::expectNoConsumption(), and ~BodyProducer(). 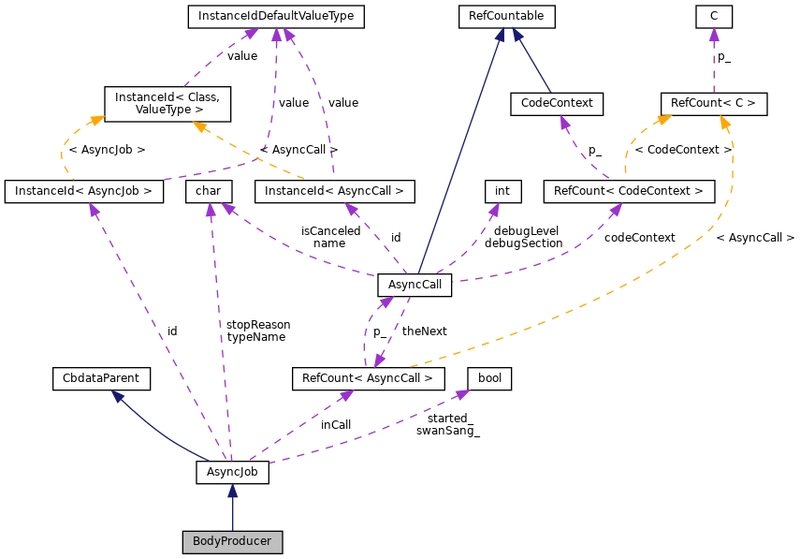 Referenced by BodyPipe::postConsume(), and ~BodyProducer(). 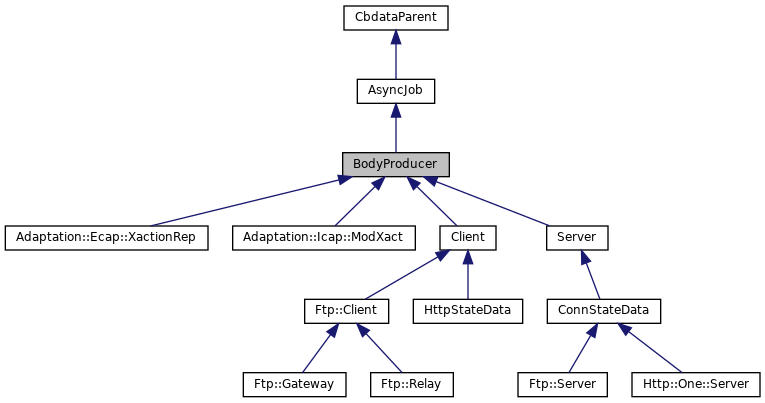 Referenced by Client::cleanAdaptation(), ConnStateData::finishDechunkingRequest(), Adaptation::Ecap::XactionRep::moveAbContent(), Adaptation::Ecap::XactionRep::noteBodyConsumerAborted(), Client::noteBodyConsumerAborted(), Client::serverComplete2(), Adaptation::Icap::ModXact::stopSending(), Adaptation::Ecap::XactionRep::swanSong(), and ~BodyProducer().